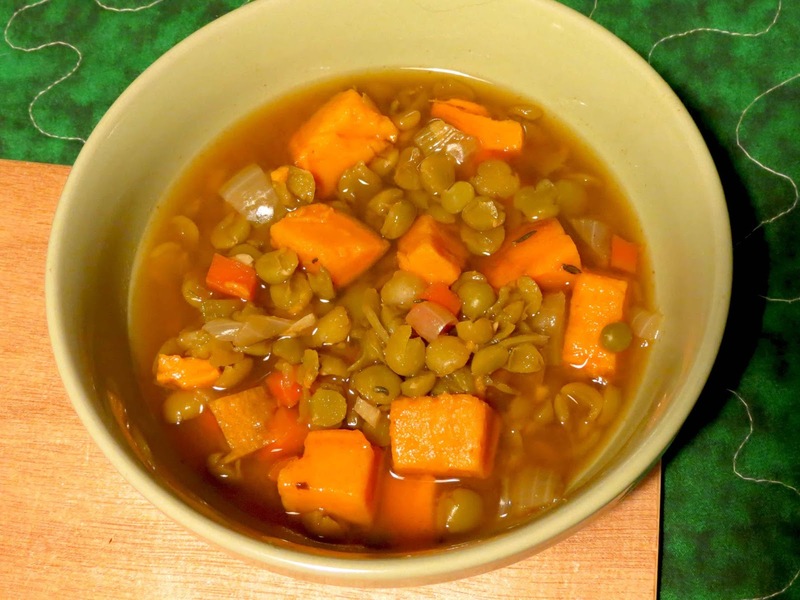 Here are two recipes for split pea soup, one with white potatoes and the other with sweet potatoes. In a large pot, saute onions in 1/4 cup water or vegetable stock for 5 minutes. Add celery and carrots and saute 5 more minutes, adding more liquid if necessary. Add garlic, celery seed, basil, parsley and salt-free seasoning and cook one minute longer. Put the remaining water or vegetable stock into the pot along with the bay leaves, peas, barley and potatoes. Bring to boil, reduce heat, cover and cook over low heat for 1 to 1 1/2 hours or until peas are tender. Place all ingredients in a pressure cooker and cook at high pressure for 6 to 10 minutes. Allow pressure to release naturally. Place the onion, carrot and celery in a large saucepan and saute over medium heat for 10 minutes, or until the onion is translucent. Add water 1 to 2 tablespoons at a time to keep the vegetables from sticking to the pan. Add the garlic, bay leaf, rosemary, thyme, paprika, sweet potato, split peas, and vegetable stock and bring the pot to a boil over high heat. Reduce the heat to medium and cook until the peas are tender, about 50 minutes. Season with salt and pepper. 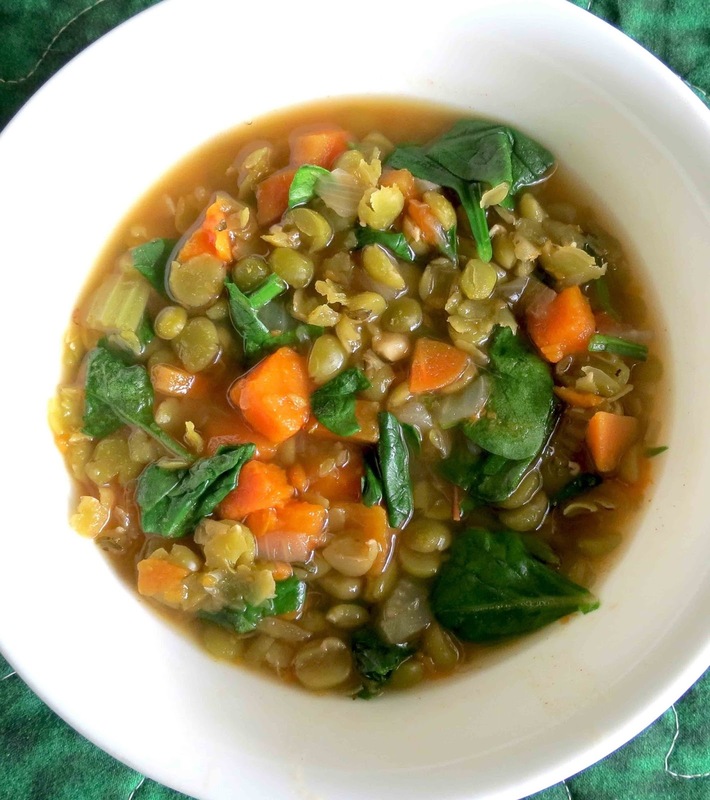 Make the soup even more colorful and nutritious by adding fresh spinach during the last two minutes of cooking. 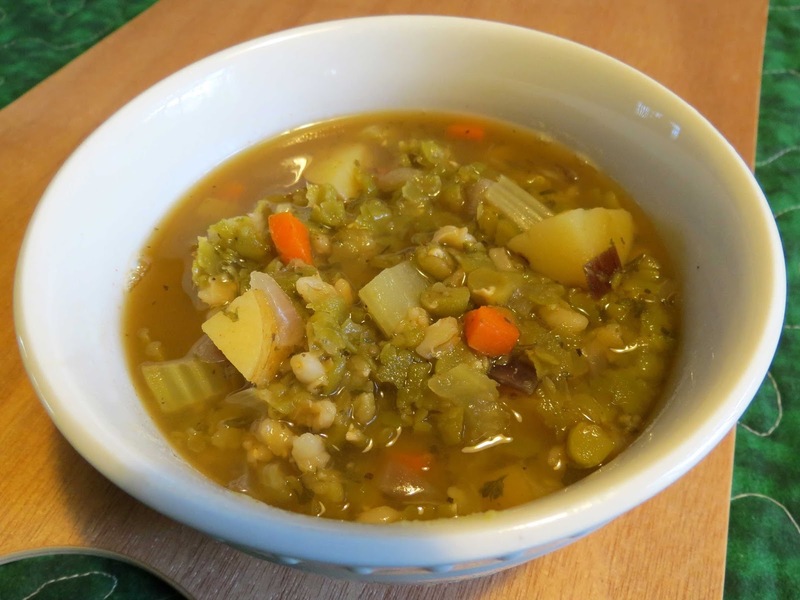 And here's are recipe for Curried Split Pea Soup.